Packed with essential nutrients and alkalizing chlorophyll. 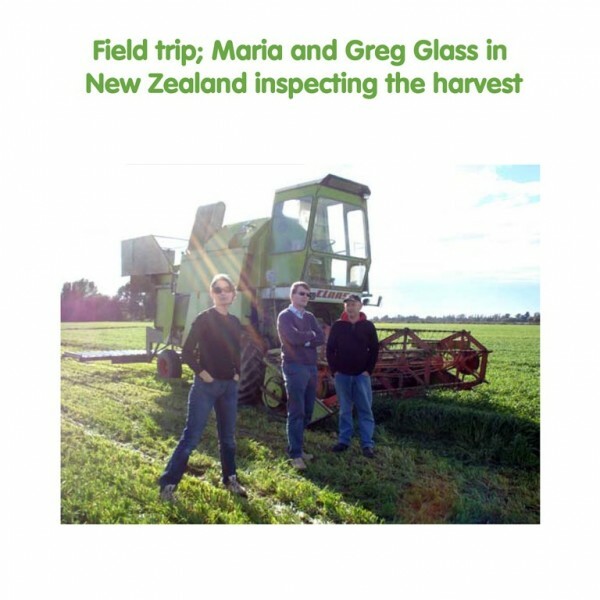 100% Organic Green Barley Grass Powder grown in the clean, alluvial soil of Canterbury, New Zealand to provide high nutritional value. Green Bay's Green Barley Grass has a pleasant, slightly grassy taste and vibrant green colour due to its high levels of Chlorophyll, which makes it a suitable and easy addition to fruit juice, smoothies and soups. 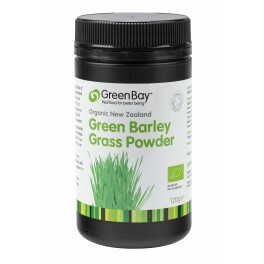 Green Barley Grass was used as a nutritional supplement by gladiators in Roman times for enhanced health and vitality. 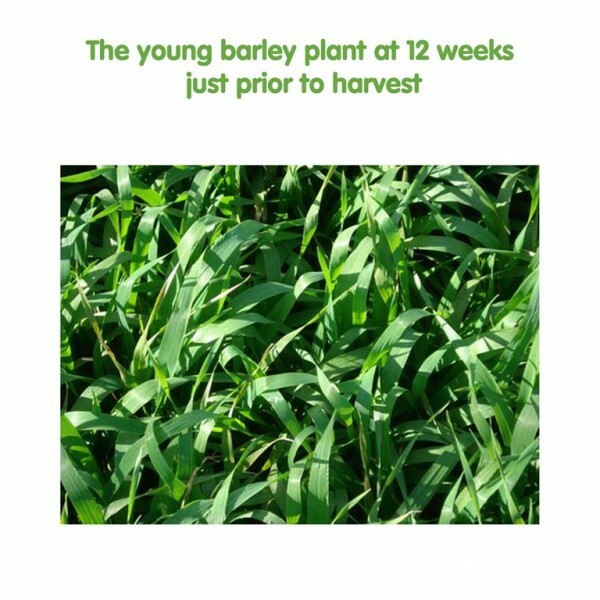 More recently, it has gained popularity with natural health enthusiasts for its nutritional value and the presence of 18 amino acids as well as beta-carotenes, calcium, folic acid, pantothenic acid, vitamin K, B6 and vitamin C. It also contains minerals including potassium, magnesium, iron, copper, phosphorous, manganese and zinc. Take as a supplement to alkalise, aid detoxification and for general nutrtional benefits. Combines well with a probiotic and a squeeze of lemon or fresh juice or sprinkled just before serving. 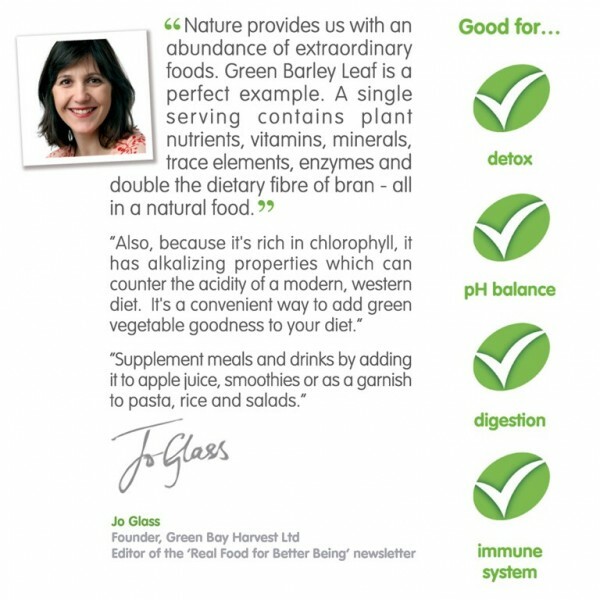 Naturally Effective Body-Balancer: Chlorophyll is an excellent alkaliser that works to establish pH balance promoting energy levels, improved digestion and healthier skin. Suggestions for Use: Sprinkle a spoon into fresh juice or smoothie. Start with 1 teaspoon daily and gradually increase for six weeks to 1 tablespoon per day.